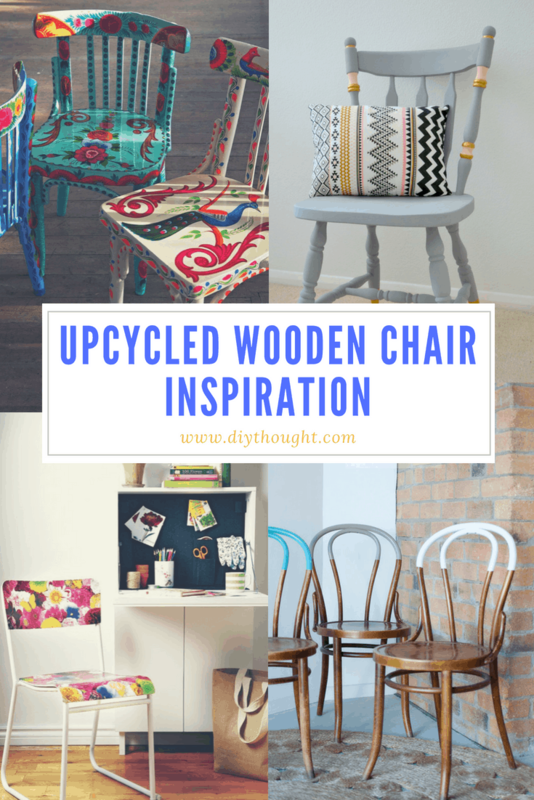 All the upcycled wooden chair inspiration you could need is right here. 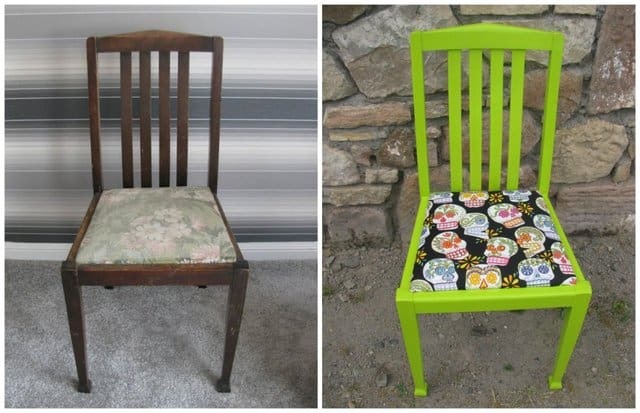 From painted to decoupage chairs there is a technique that will suit your chair that is waiting for its makeover! Wanting to do something different? Then check out number 11 for a fun chair that everyone will love. I have had some wooden chairs stored away for (quite) a few years now. My husband is always asking if we can get rid of them yet BUT I know that once they have been upcycled they will look better than new. 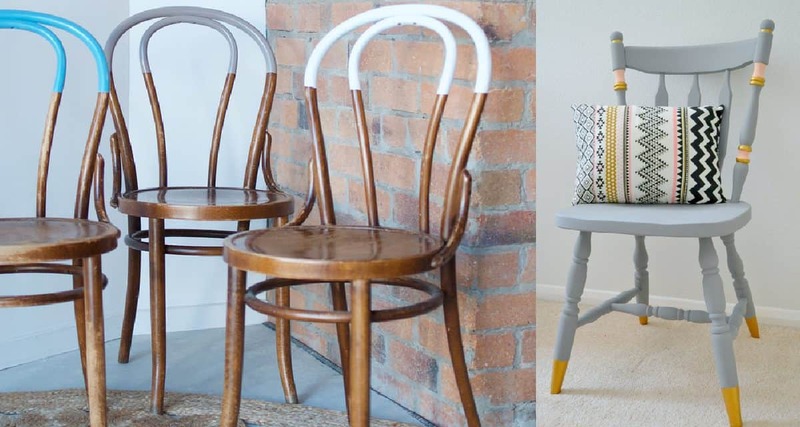 With all of this upcycled wooden chair inspiration, I feel a paint shop coming on! 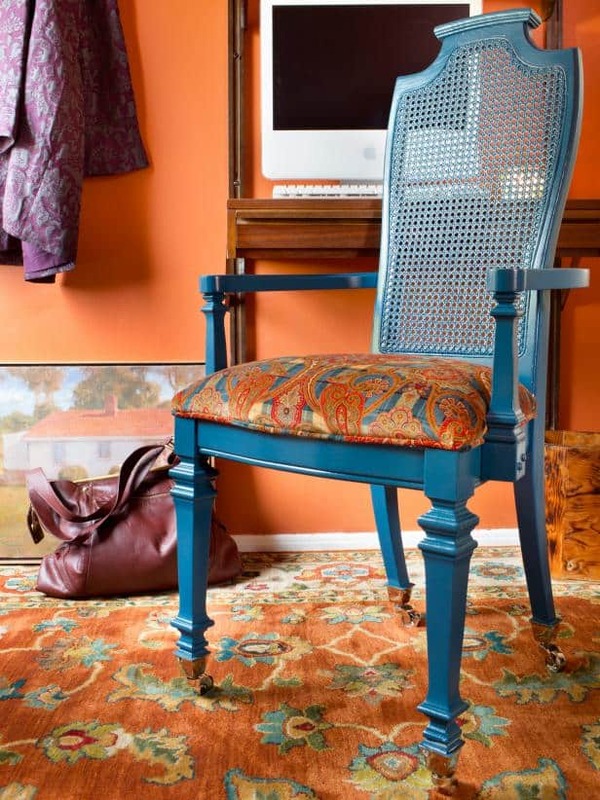 Such a major change can be made by simply changing the fabric and paint on a chair. The lime green and skull print fabric transform this chair into something modern and fun. No tutorial but source found here. 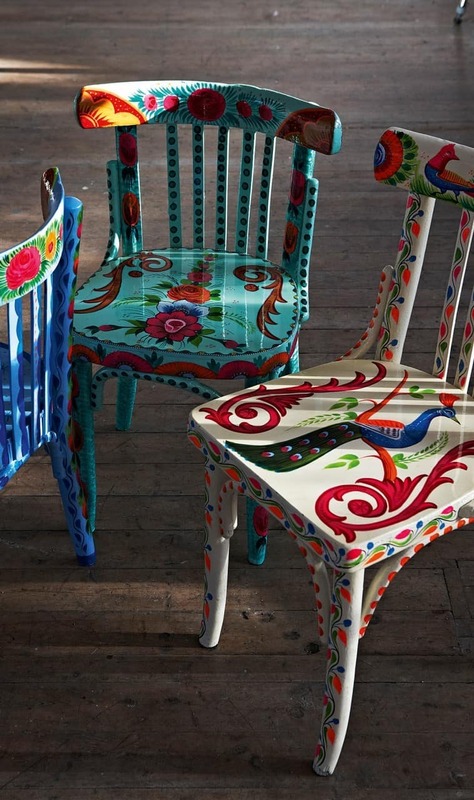 For the artistically talented hand painting wooden chairs in beautiful designs like these is a wonderful way to create a feature chair. No tutorial but source found here. This chair has been transformed from an ordinary dining room chair into a stylish office chair. New fabric, paint, and casters have been added to give this chair a new life. Click here to read the full tutorial. 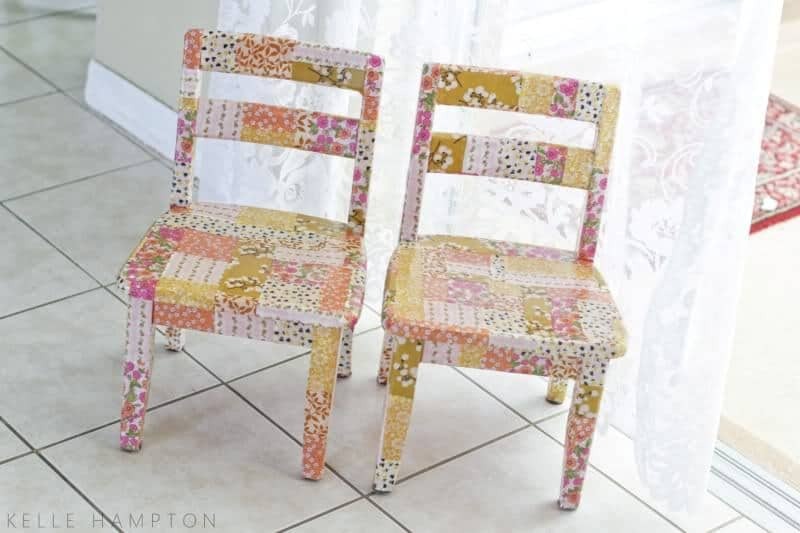 These chairs have been upcycled by decoupaging with fabric. Decoupaging involves sticking paper or fabric onto a surface with Mod Pode glue before varnishing. Head over to Kelle Hampton to read the full tutorial. 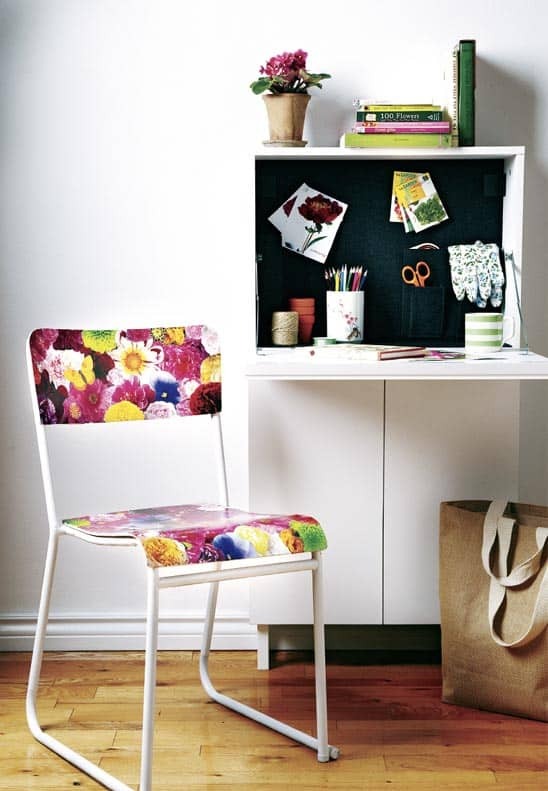 We love the pop of color this floral paper has added to this chair. This tutorial from Style At Home is great for explaining how to decoupage. Paint the chairs, stick on paper images were with glue, then let to dry and varnish. 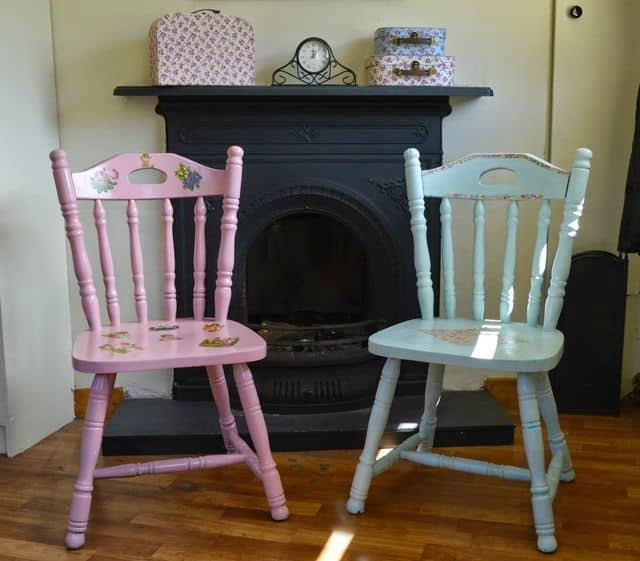 The pink was spray pained and the blue painted using chalk paint, which is a paint that doesn’t require any sanding. Follow this link to read the full tutorial. Chalk paint is an amazing paint that lets you paint without sanding first. 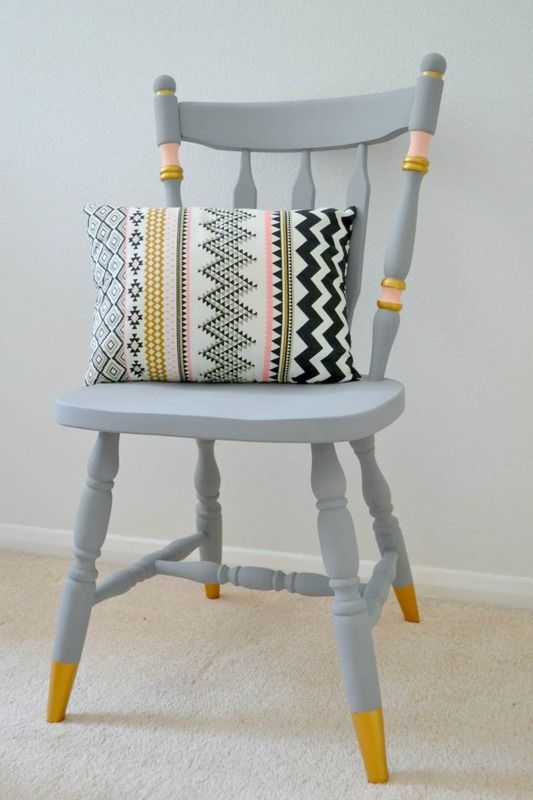 We love that this chair is painted in two colors! Read the blog post here. We love the grey color, the pop of peach and the featured gold on this chair. 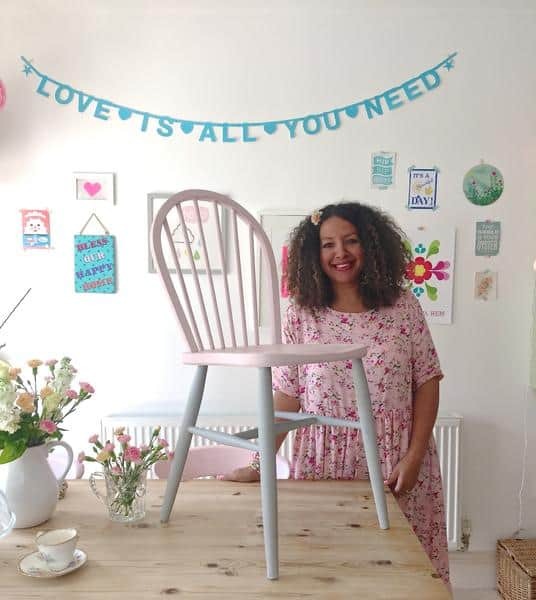 By using chalk paint it is very easy to upcycle a chair to look as great as this one! Click here to read the full tutorial. 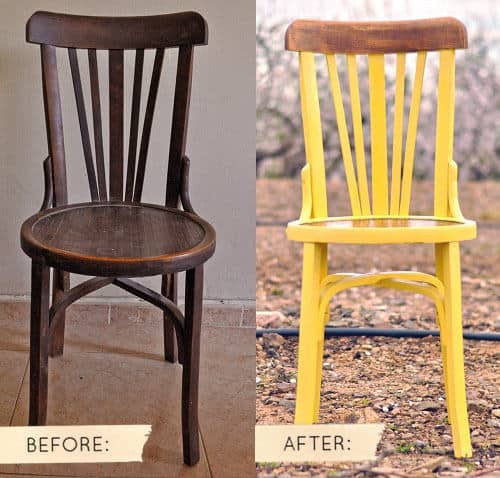 Have the best of both worlds by keeping some of the original wood while painting parts of the chair. 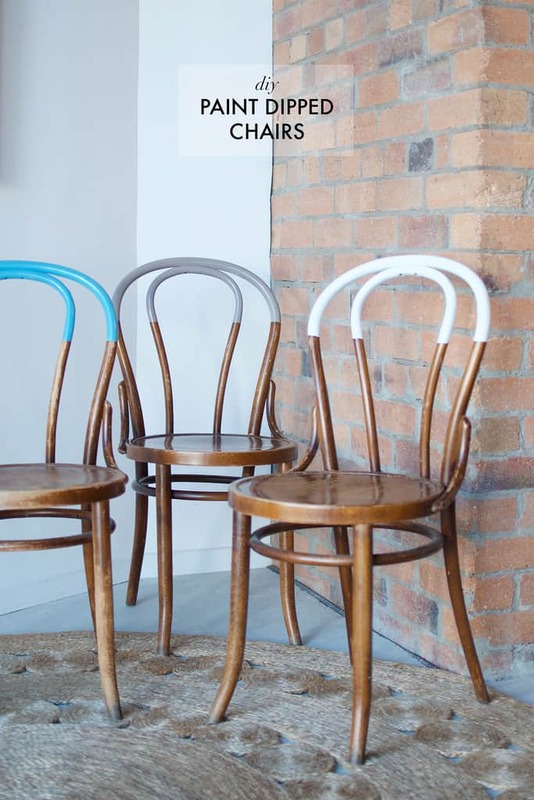 This is an outstanding example of a painted chair with exposed varnished wood! Click here to view the tutorial. Who doesn’t love a good paint dipped look? This is a great way to add a splash of color without going overboard. Click here to read the full tutorial. The swinging chair is for anyone looking for a totally different way to upcycle their chair! 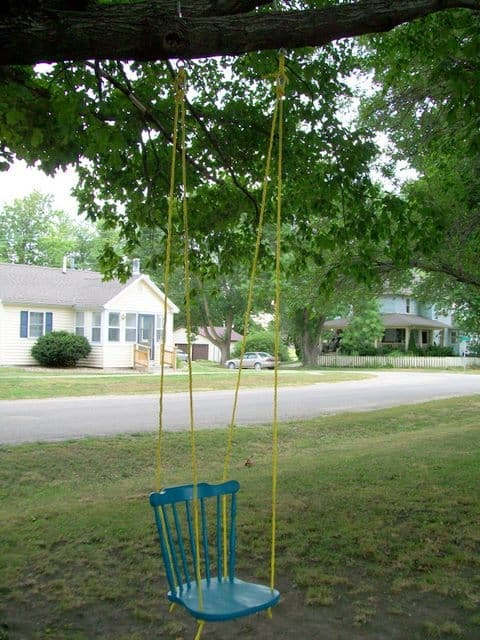 Kids and adults alike will love swinging and relaxing on this hanging chair. Click here to read the full tutorial.